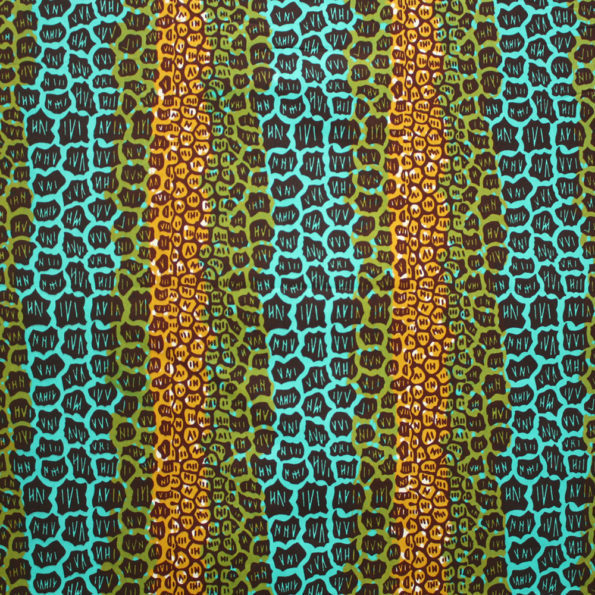 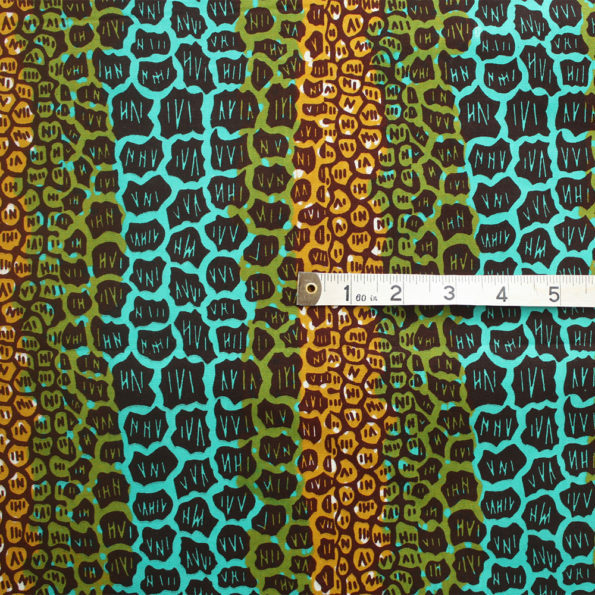 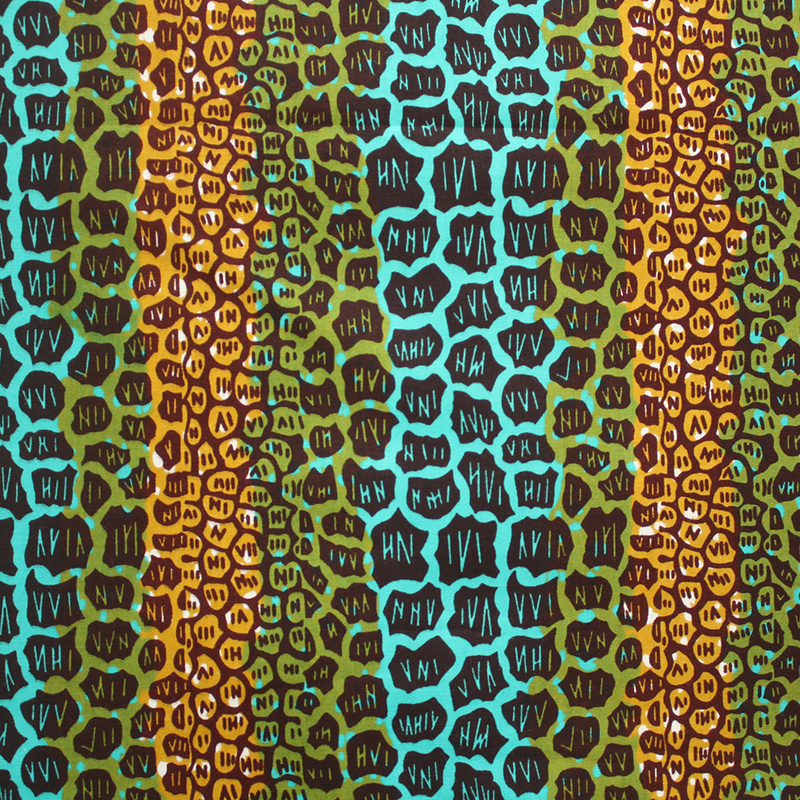 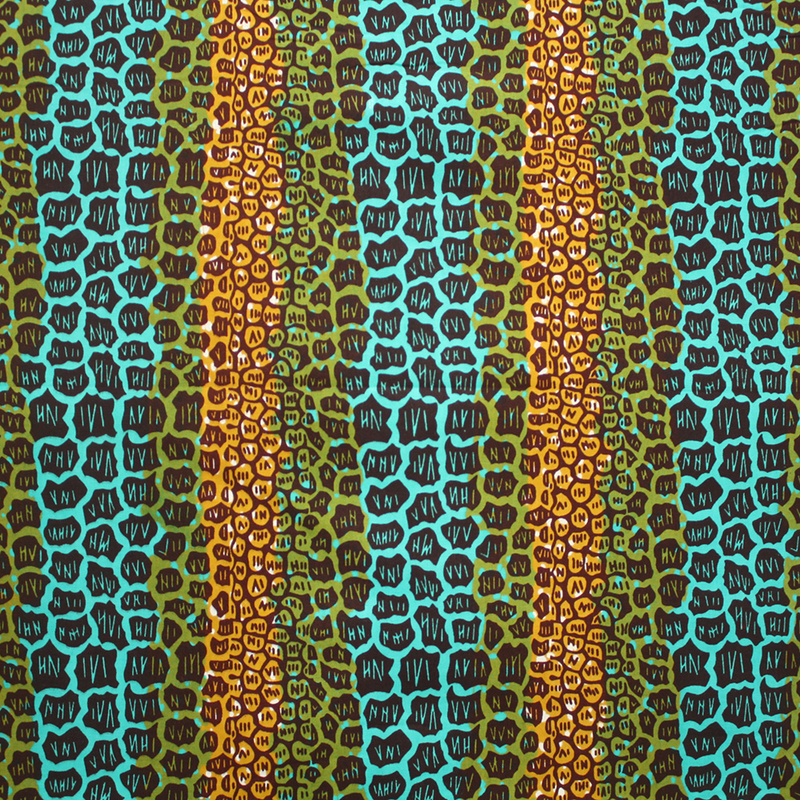 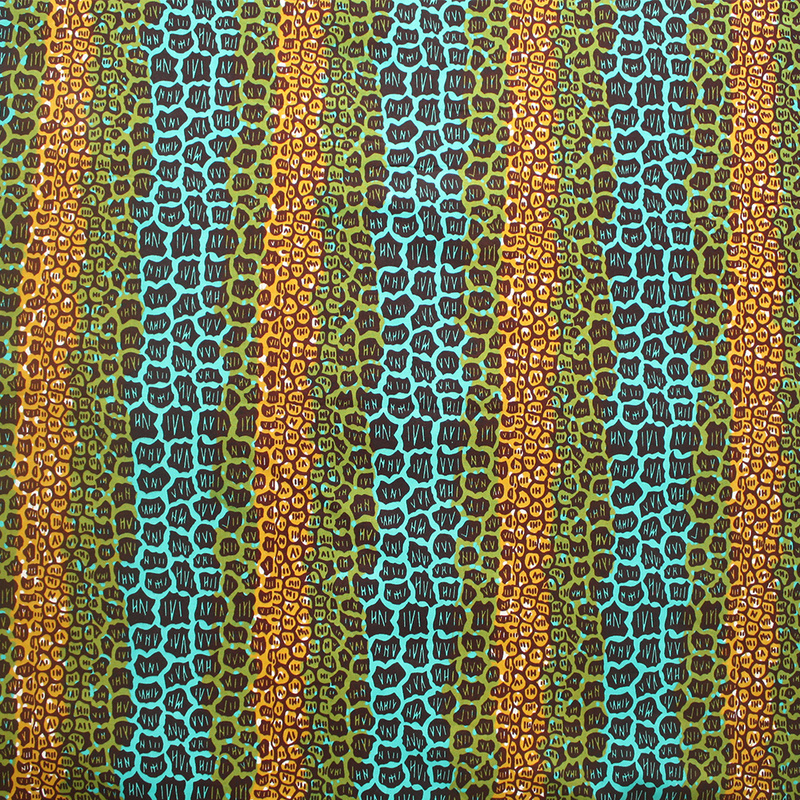 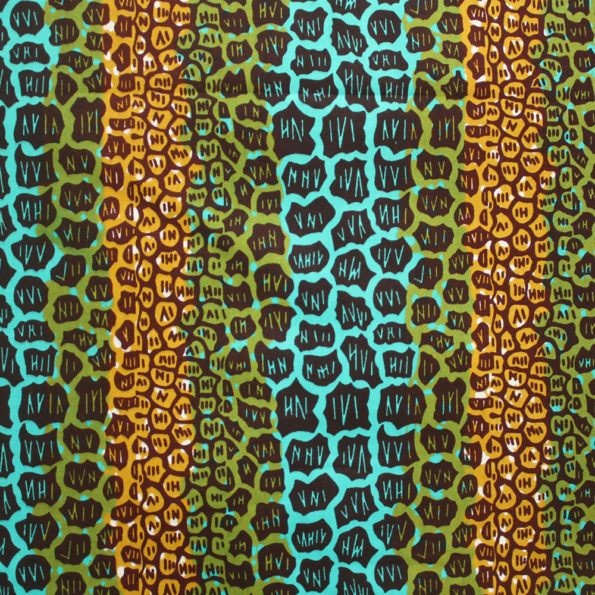 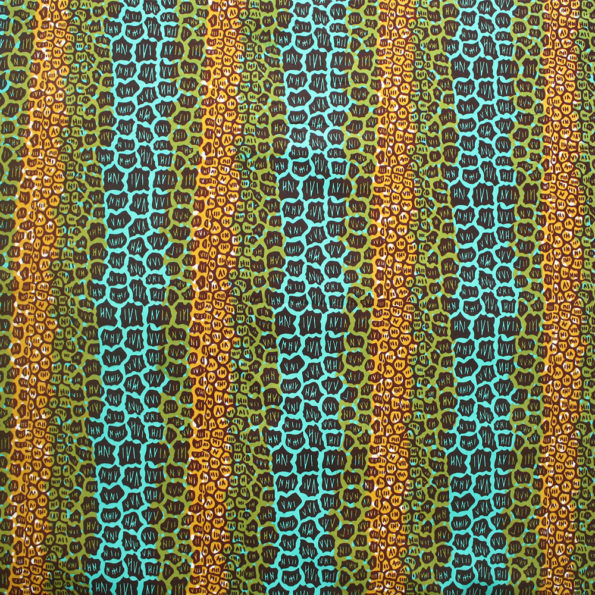 A bold African print fabric from Ghana, West Africa. Printed on 100% cotton. 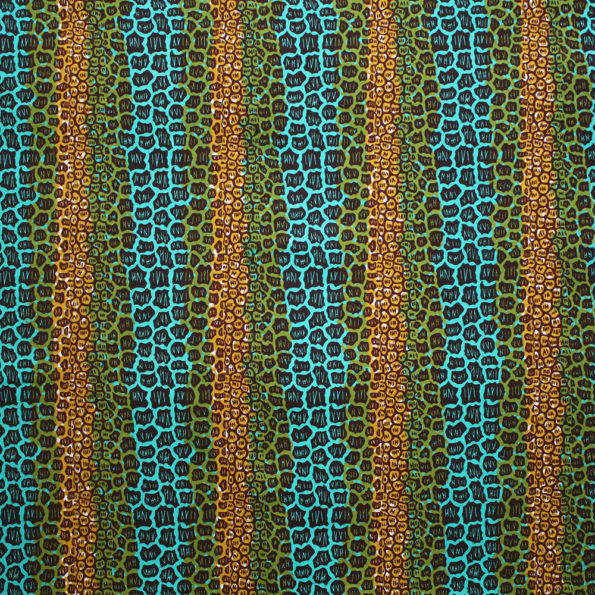 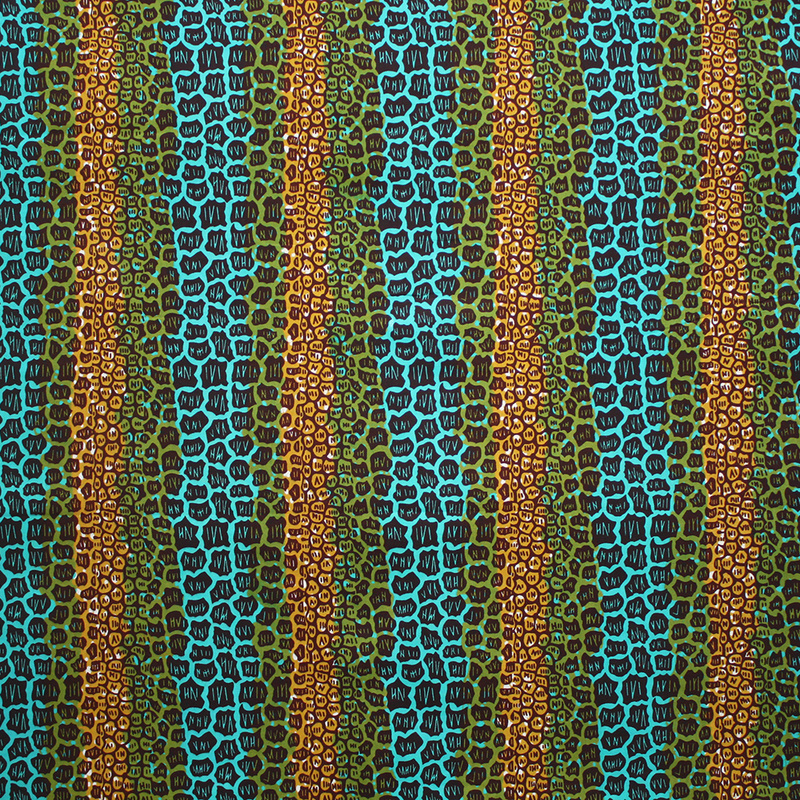 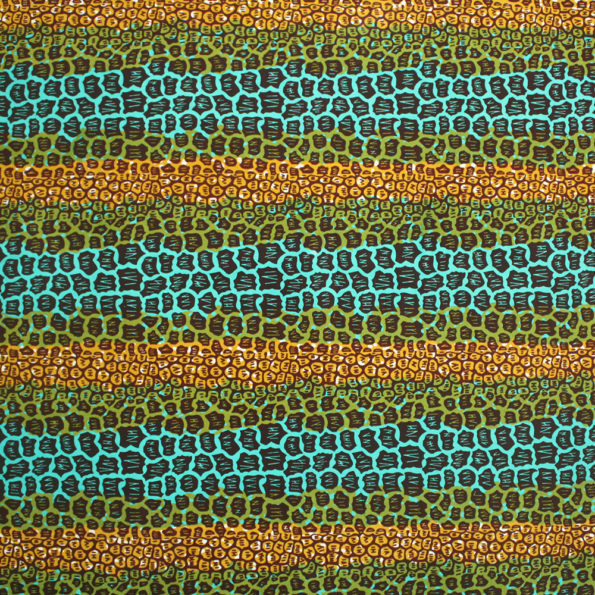 A colourful take on the leopard print fabric with a mix of greens and browns.